ID photo software. ID card software. ID photo processing software. 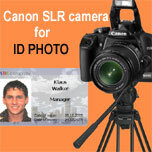 inPhoto ID SLR for ID photo with Canon EOS cameras. inPhoto ID PS for ID photography with Canon Powershot cameras. inPhoto ID Webcam for full control of all WEB cameras and ID photography with the automatic face find, crop, resizing, and enhancement. 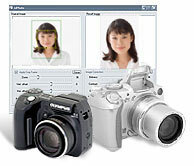 ID Photo Processor for batch photo processing, face finding and cropping. inPhoto Capture SLR for full control of Canon EOS cameras from computer, automatic image capture, save and transfer. inPhoto Capture PS for full control of Canon Powershot cameras. 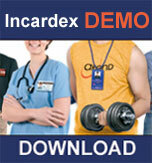 Incardex - ID card software for ID card design and printing. inPhoto ID for ID photography with discontinued Canon Powershot camera. inPhoto Capture for full control of discontinued Canon Powershot cameras from computer, automatic image capture, save and transfer. All our products are very user friendly, reliable, powerful and still affordable. They are right solutions for your various applications in ID photography, ID card production, and accreditation. inPhoto ID PS - ID photo with Canon Powershot cameras!